Time Out has been my bible since I arrived here. A fellow expat may recognize the name from its publication in New York City. It has bestowed upon me a wealth of knowledge necessary for seeing the best of London. Exhibitions, concerts, events, festivals, films and more are listed with brief, honest explanations and reviews. Time Out lists the best and the quirky, in a succinct, convenient fashion. 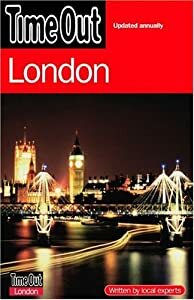 For anyone relocating to London and wishing to explore, but ignorant of the logistics (who/what/when/where/is it worth my money), check out the website here, or pick up your own hard copy for the full exuberant effect.